There are 2 cat videos tagged with trick. Marie is a very intelligent teacup Himalayan kitten. This video shows off her sweet set of tricks that she works on with her owner. Her owner says that she is sharp and knows commands like "come here", "sit", and even "shake hands". There must be a lot of dedication involved in training a cat. Didga the cat has been trained to roll over just like her Rottweiler dog pals. 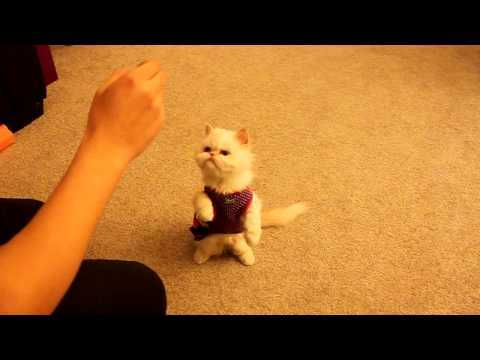 She and her owner prove that dogs aren't the only ones who can learn tricks!